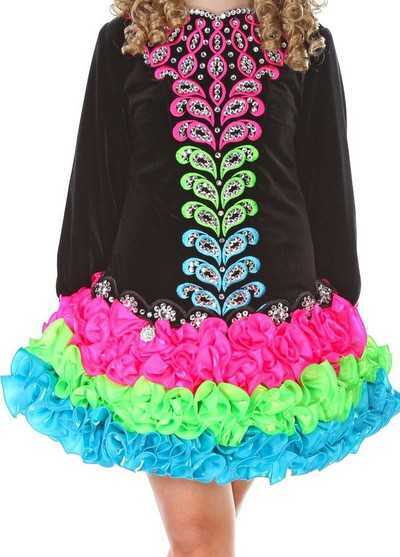 Lovely bright Siopa Rince dress. 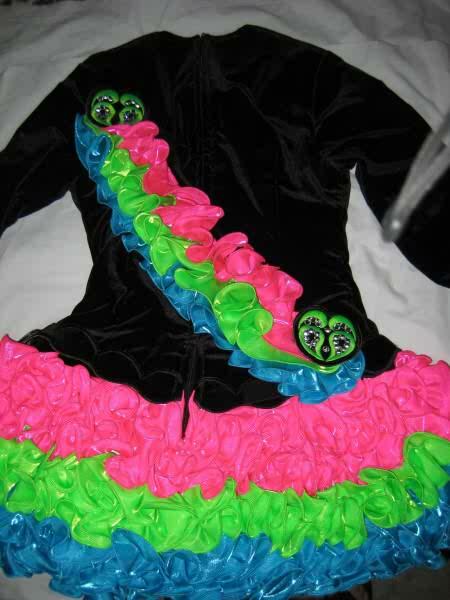 Black velvet top embroidered with hot pink, lime green and blue designs. 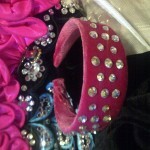 All designs are loaded with crystals. Wire ruffle cupcake skirt is the same bright colors. 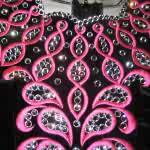 Looks great and has had many compliments about how much it sparkles. This dress is in brand new condition. 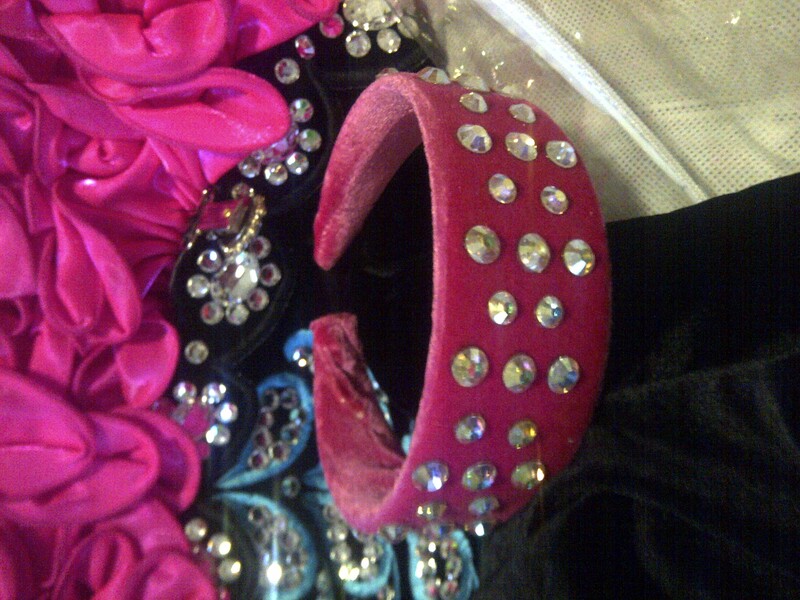 Only worn for dance and taken off immediately. It has been stored in the dark. Under garment was always worn so there is no staining of white bodice lining. Plenty of room for let out or down. Loaded with crystals, and some are over an inch across. Back cape ruffle. Lining is a shiny silver and black sparkle print, as well as briefs. Crystal number holder attached. Worn by a 13 year old. Non smoking home. Very fun dress! A good 2 inches for let out and down. Never been altered. Asking Price: $US700 obo. Shipping costs are not included. Returns are negotiable.